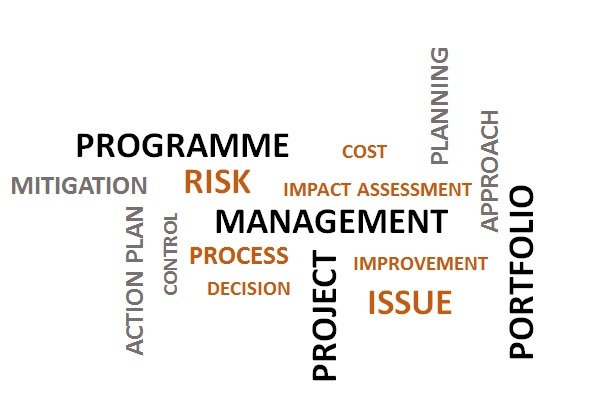 The value and importance of risk and issue management is often discussed at the project level, but how should risks and issues be monitored and reported across a programme or a portfolio of programmes? In the past I’ve discussed how risks and issues are often discussed at the end of the agenda in project board packs and often glossed over due to lack of time. For properly articulated risks and issues that are pitched at the right escalation level the project reporting should reference the key ones. For issues, these are impacting the project now and should therefore be the focus of project reporting and project board discussions. Risks are threats to future delivery in the project so any changes to risks or the actions identified to mitigate them, including completion, should also be discussed in project reporting and at the project board. I’m going to define a programme as a collection of related projects seeking to deliver one or more specific outcomes for the business. As such, the projects within a programme could be inter-related and may be impacted by common risks and issues. These would be recorded and reported as programme level risks and issues and would be managed centrally by the programme management team. So when it comes to the Programme Board and reporting, there may be project specific risks or issues that impact the outputs the project is delivering in support of the programme outcomes and there may be wider programme level risks and issues across the piece. It would be a mistake to lump these together into a single log and step through it at the Programme Board. Instead, as each project is considered by the Board the relevant risks and issues should be discussed just as they would be at the Project’s own Board, but this time probably only considering the higher escallation level risks and issues. Next the Programme Board should consider programme wide risks and issues to ensure they get appropriate attention. Finally, the Programme Board should look to see if there are any underlying themes to all the key risks and issues across the programme. For example the issue of resource attrition across a number of projects might indicate a wider problem for the programme. When managing a portfolio of programmes, the collective weight of risks and issues across the portfolio is one concern the Portfolio Manager must consider. The question here is whether the consolidated threat to delivery of the portfolio’s objectives or perhaps even the stability of the underlying impacted business areas, is sustainable and within the risk appetite of the business. The thematic view of risks and issues is also particularly useful in helping identify critical areas across the business that need senior management attention. Just as monitoring critical delivery milestones to identify a potential bow wave of delivery building up, the thematic review of risks and issues can identify a bow wave of operational and delivery risk that could swamp the organisation. Whether you are looking at things from a project , programme or portfolio perspective, it is important to review the risks and issues alongside the project or programme they relate to and then look collectively at the volume and underlying themes. Do they properly describe the impact on the project or programme’s deliverables. A milestone being late is NOT and impact – it’s a consequence. Three months loss of revenue benefits or one month’s extra exposure to an underlying operational risk are impacts. Are they really significant. Every project/programme faces a multitude of risks on a daily basis. Most are, or should be, dealt with by the management team as part of their day to day jobs. Only when a risk or issue is or has the potential to impact overall delivery, or where resolution requires help outside that team, should they get escalated to the Project/Programme Board. So the key to success at all levels is well articulated risks and issues, reported and discussed in context and in relation to the wider programme and/or portfolio. Risk and issue management isn’t hard, but it does require discipline. 1 Pings/Trackbacks for "Programme and Portfolio Risk and Issue Management"